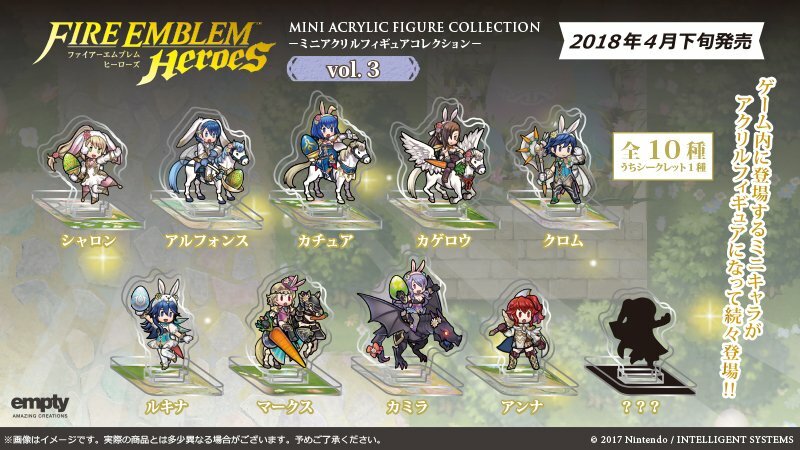 At the end of our previous article, we talked about a new set of Fire Emblem Heroes acrylic mini-figures releasing in Japan in late April. 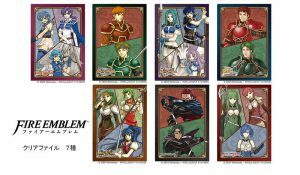 Since then, the official Fire Emblem Japanese Twitter followed up with more news of upcoming merchandise! Many of these are sequels to existing merchandise lines from November 2017. 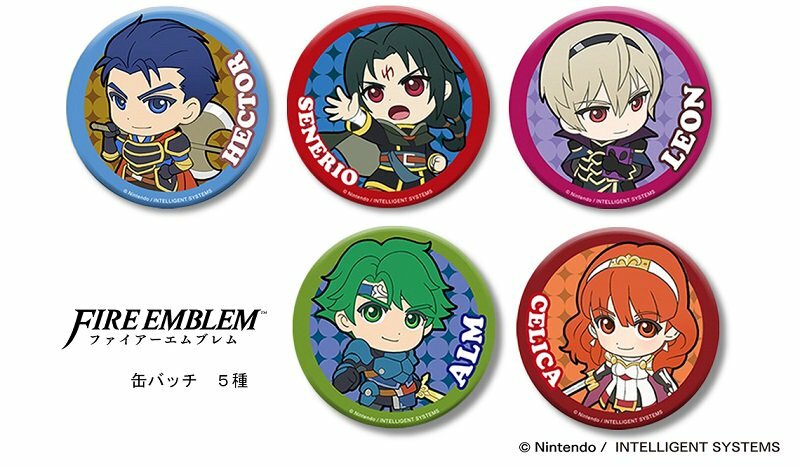 These are highly collectable badges (75 mm in diameter) featuring cutesy artwork of popular/important characters. 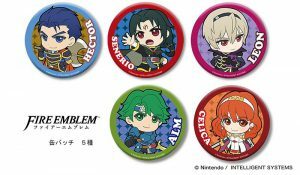 The new Hector, Soren, Leo, Alm and Celica designs will be available from late May. From the sound of things, there will be more badge designs after this. These are thin, semi-translucent A4 file holders that are popular over in Japan. The theme of this collection is “bonds” between siblings and comrades. It’s not very clear (pun not intended), but it looks like they’re sold separately–and not as a set like previously. Anyway, the planned release date is, again, late May. Update: It was pointed out by SuperNintendomaniac that this is the first time Saizo and Kaze’s official artwork has been seen. 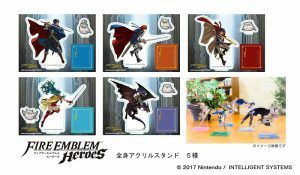 These are stylish acrylic standees of the characters that appear in the title screen of Heroes: Marth, Roy, Ike, Eirika and Camilla. 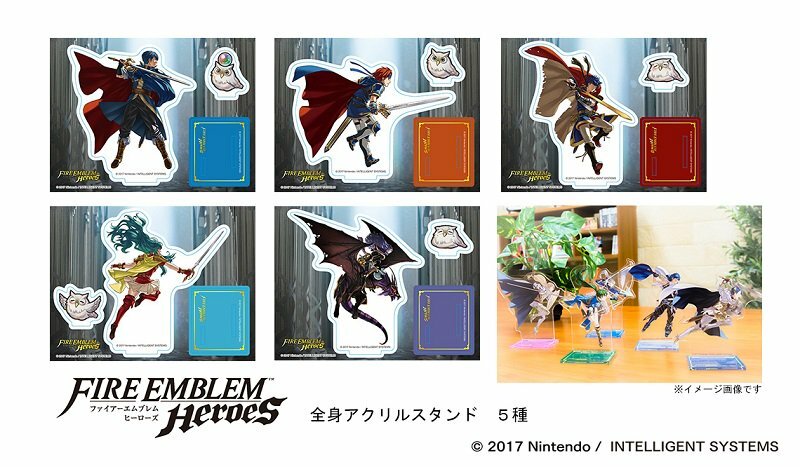 Each comes with a miniature Feh (with a different pose as well). As with the above, you can expect to see them during late May. Finally, just to keep everything together, here are the mini acrylic figures once more! 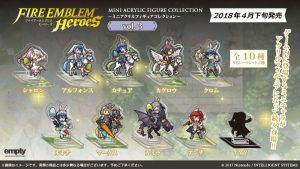 The characters in this volume are all from this year and last year’s Spring banners, plus poor Anna and a mystery character that resembles Delthea. Volume 3 will be released in late April. Yup, you are correct! 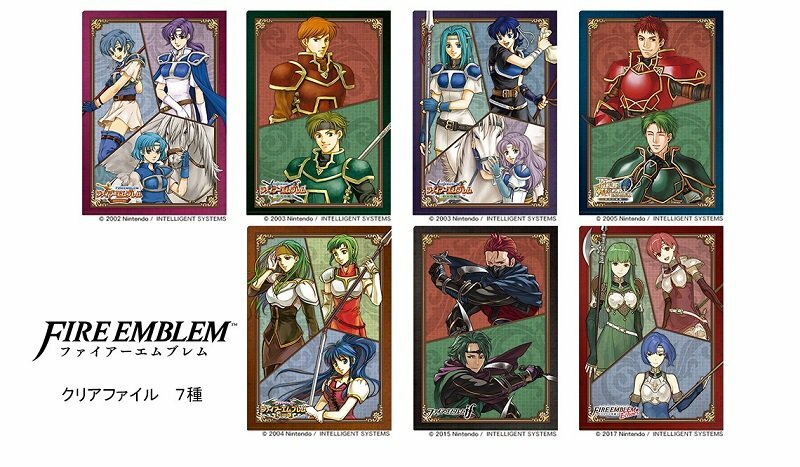 It seems like they are slowly paving the way for an artbook with artwork for all the characters. I need that clear file with Saizo and Kaze! Good finally Fates art is started surfacing! 3,000 years lafter!